The travel was completely worth it because of what I experienced today. 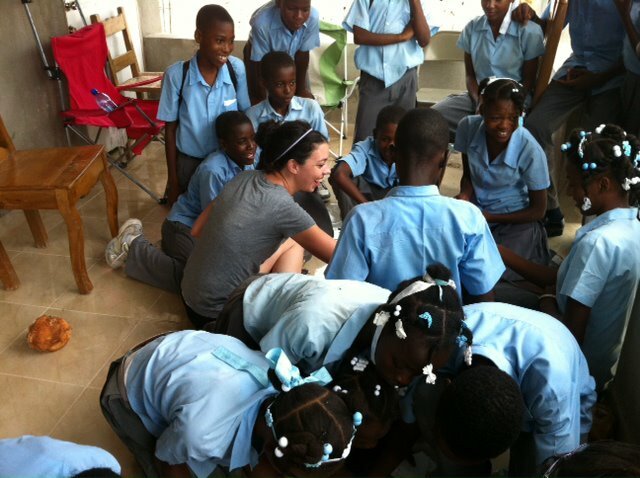 Before the trip, Jean told me four or five people would be interested in learning more about children’s ministry as it is not a common idea here in Haiti. God has given me a big passion for empowering people to teach kids about Jesus, so this opportunity excited me even if it was only for a few. The 40 people there represented almost 30 local churches. Two people traveled from as far away as 11 miles (which doesn’t sound like a lot to us Americans but here it is a process that takes multiple hours). The meeting went really well. I shared a little about me, they shared a little about them and then we talked about what they’re currently doing with their kids. Stories ranged from nothing to teaching for 1-2 hours once a week with kids ages 3-14. I shared things I’ve learned over my years of working in children’s ministry. Things like making your teaching engaging, intentionally scheduling your time with the kids, following up Bible lessons with life application, fun ways to encourage Bible verse memorization, partnering with parents to make more of an impact, etc. Everyone seemed to be very engaged, not caring at all that the talk lasted 3 hours while they sat on hard benches in the heat. They genuinely desired the knowledge to make their programs the best they can be. When it came to question time, they came fast and were all over the board. From “do you think parents spanking their kids if they don’t want to come to church is a good idea?” to “what age is ok to baptize someone?” I loved this time though because they had humble hearts that wanted to learn. A perfect audience. I left them with the challenge to create goals they’d like to meet in a month, 2 months, 6 months, etc. I encouraged them not to feel overwhelmed, but to take it a step at a time. I also encouraged them to use one another as resources. There’s no benefit to coming up with good ideas/lessons/etc and not sharing them. We are all the body of Christ and the ability to meet with one another will make their kingdom impact great. I left the meeting agreeing with what one man shared after the talk…. “I believe God is going to bless this time we shared.” Can’t wait to see in what ways!